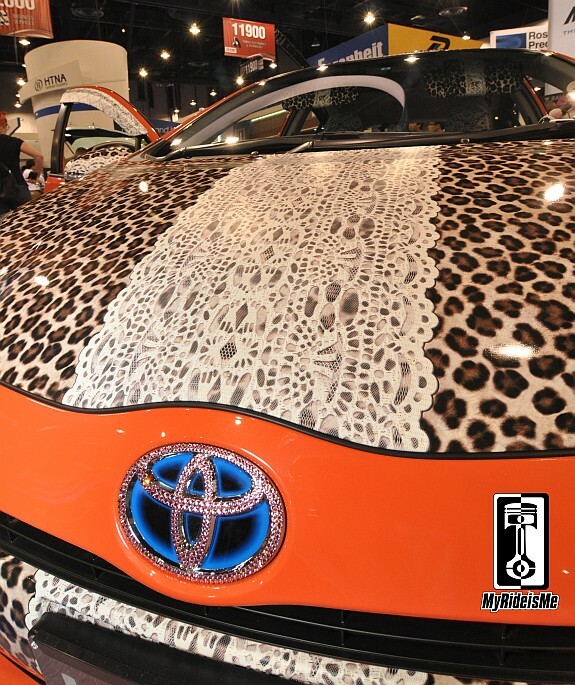 In many ways, the picture above symbolically tells the SEMA show story… Especially the last day. I shot this Ford Mustang giving one lucky passenger the ride of their lives! Maybe, like the passenger, there was a little bit of, “Damn! I’m glad it’s over!” I’ve spun around, everywhere, my head’s a smoky haze of friends, new and old connections and feet-tires worn out to the belts! Yet I know… like every year… come next November, I’ll be ready to do it again! It’s SEMA! If you’re reading this blog, you probably already know… but for those of you stumbling onto this page from a Google image search, let me explain: SEMA’s nearly everyone and everything automotive on the planet jammed wall to wall, believe it or not, into the 3.2 million square feet of the Las Vegas convention center. It’s massive! All mixed together, you’ve got nearly every car and truck represented. You’ll find OEM’s like Ford and Chevy with their custom creations and new models mixed in with the best custom car builders like Chip Foose, Steve Strope and Troy Trepanier. Then finally, every trick part for those custom cars, every wild new gadget and yep… every piece of crap nobody really needs for their car – It’s all at SEMA. 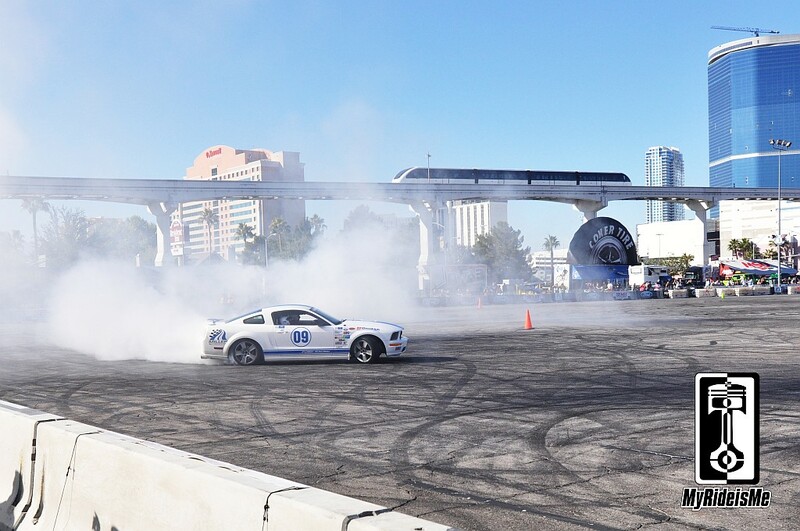 I’ll use this post as a “Table of Contents” of sorts for everything we saw at SEMA. Come back soon, we’ll update it with more stores as we write’m. Coolest rides, like this one! SEMA has mild to wild covered. If you don’t want to roll this Cadillac Limo to your prom or wedding, you ain’t right! Built by Fuller Hot Rods in Atlanta, she’s called the “Thundertaker”. 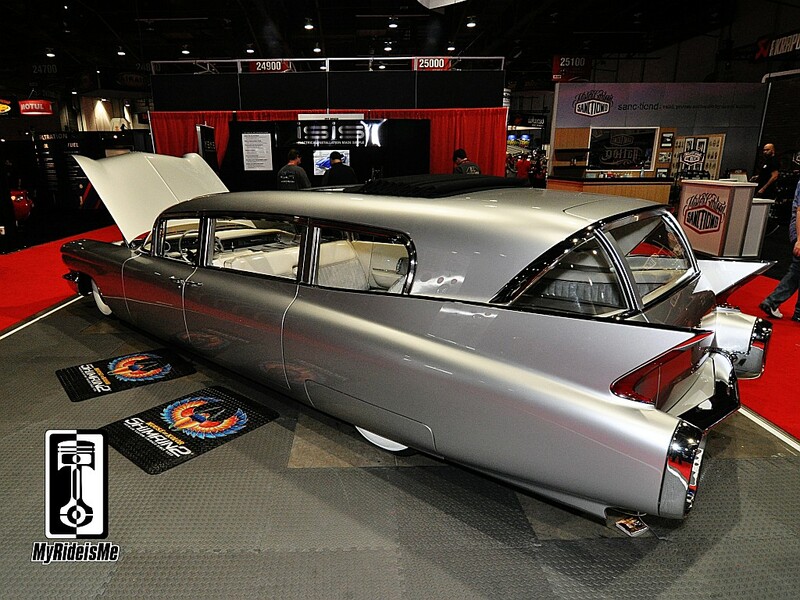 Starting out as a 1960 Superior Coach hearse, the Fuller guys custom made everything from the front doors back, then jammed in a ZZ454. See more of Fuller Hot Rods at their home page. Well publish our favorite rides here with details to go with. Got more to say on any ride? Leave a comment! This is Bob Ream’s new toy, an altered wheelbase (14″ to be exact) nose high, attitude even higher, 1964 Ford Falcon gasser. Love this car! Look for a feature later cause Bob’s in Arizona with me. I’m going for a ride! With every car fanatic there, the SEMA show’s got the best of the best and everything new (well almost, more on that later). 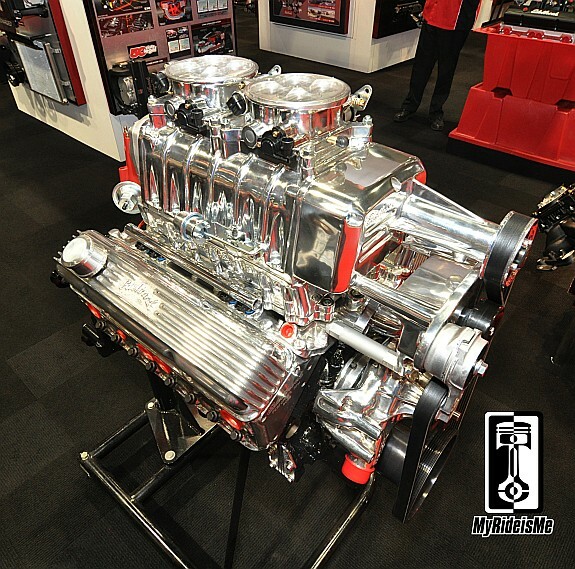 Edelbrock brought out their new E-Force Supercharger. This trick looking nostalgic piece has the heart of new technology with the soul of a vintage drag racer! Inside the polished, traditional blower housing are modern Eaton rotors used in their other E-Force products for efficiency and performance. Cleverly hide their air-to-water intercooler underneath like what’s shown on this small block Chevy and you’ve got new-stalgic hot rod performance covered! More great new products from the SEMA Show coming soon. As you know, we lost Carroll Shelby this year so this is probably the first show in many years without him. His fab shop and museum (another fun story on the way!) 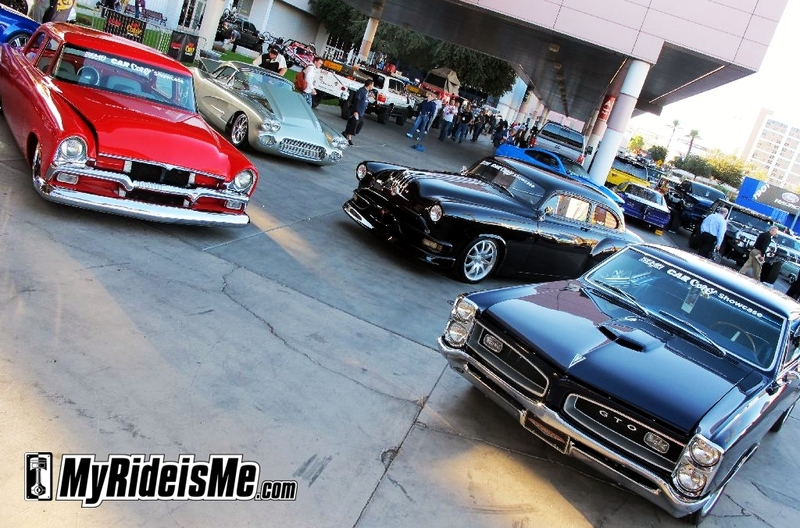 are right in Las Vegas, and as a true “car guy” his whole life, SEMA’d be a must! 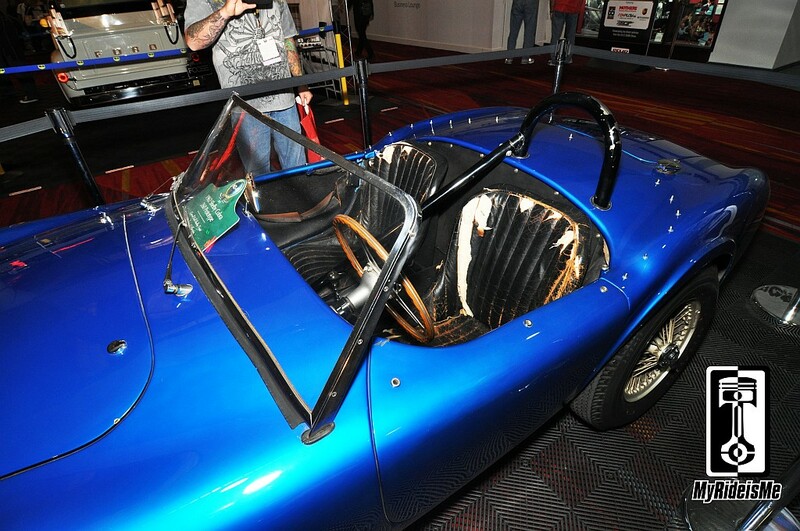 Shown here as our first “Coolest at SEMA” is this 1962 Shelby Cobra prototype. As CSX2000, you’re looking at the very first AC Shelby Cobra built. This is the car Shelby used to, in essence, trick the car world into thinking he had a fleet of Cobras ready to deliver, but in fact… it was this car, repainted after each media appearance! Keeping it original, un-restored means everything to me. This is legend. That’s it for now, but I’ll be writing for days! 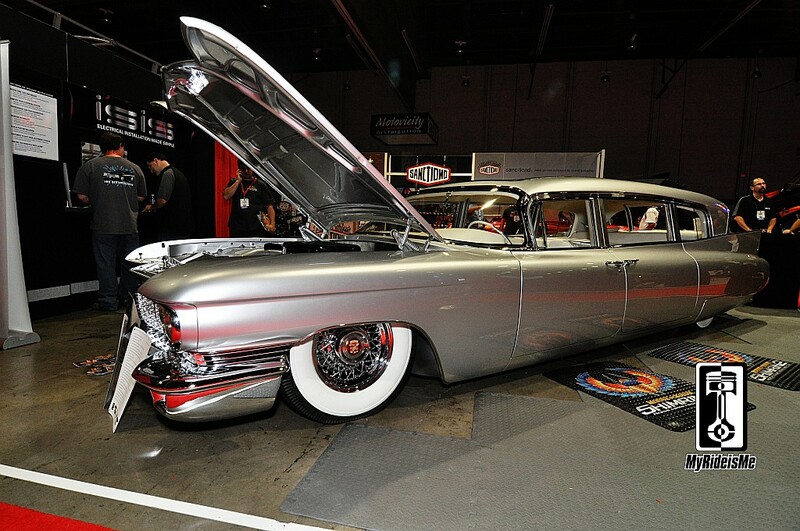 Great SEMA cars, great products and some that aren’t, but that’s what makes SEMA great. Agree or not, we’d love to hear from you in a comment below.